AMBITIOUS plans that could see Neyland Town Council sell its current office and invest in a £1.5million development of the town’s athletic club have been agreed to in principal. At a special meeting on Thursday (February 19), project leader Cllr Paul Miller appealed to members to join forces with Neyland Community Interest Company (CIC) and help build a fantastic new facility for Neyland. 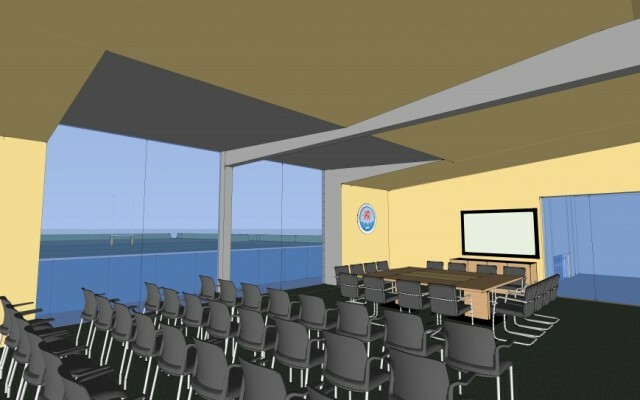 Members were shown artist’s impressions of how the Athletic Club could look, with a new two-storey design incorporating space for four badminton courts, two new bars, a fully equipped kitchen, lift, disabled facilities, and modern, landscaped exterior. 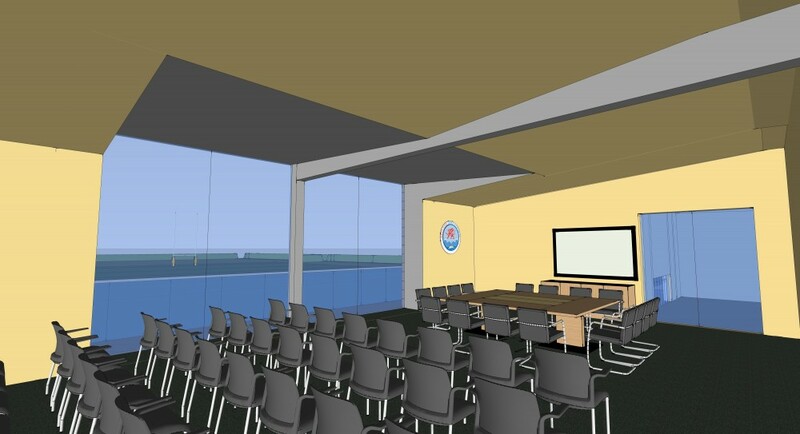 The plans also include a provision of a conference room, which could be used to hold town council and other meetings, and a dedicated office for the town clerk. But Cllr Miller said the plans could only go ahead if the council was willing to sell its current office in High Street, and invest in the project. “The Athletic Club building is tired and has reached the end of its life,” said Cllr Miller. “The Town Council building is not widely used by the community and is in need of significant investment. We do not have a wide range of community facilities in Neyland, but this is an opportunity to create one. He said the project, which has been talked about for more than a decade, had overcome ‘years of barriers’ in the last 12 months, but it was vital that a decision was now made. Mayor Cllr Hancock said he was well aware of the hurdles the project had had to negotiate, pointing out that Cllr Miller was just 15 when the idea was first put forward. “Nobody would be happier than me to see this come to fruition,” he said, adding that a town with 4,500 residents ‘really deserves better’.But, he added, this was the ‘most important decision the council would take for 50 years’ and therefore could not be rushed. The proposals put forward by the CIC would see the town council pay a fixed rate £15,000 a year for 25 years, and take out a loan, to be part of the new project. Cllr Hancock said there were a few legal details that needed ironing out, but proposed supporting the project in principal, subject to the legal issues being resolved. By a narrow vote, councillors voted in favour of his proposal, and the plans will again go before full council for ratification next month. Speaking after the meeting, Cllr Miller said: “’I’m delighted that Neyland Town Council had the vision to support this scheme.